After painting all those blue and purple hydrangeas, the pendulum on my palette swung to the oranges and yellows this evening. 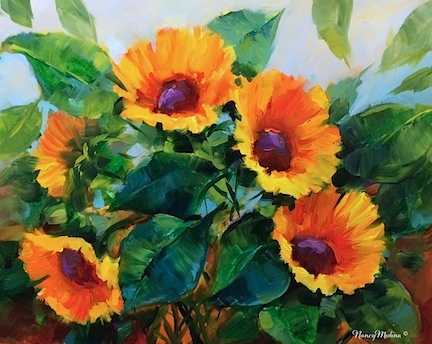 I was overdue for some new sunflowers in the studio. I was also overdue for some new brushes, and my order arrived bright and early today. 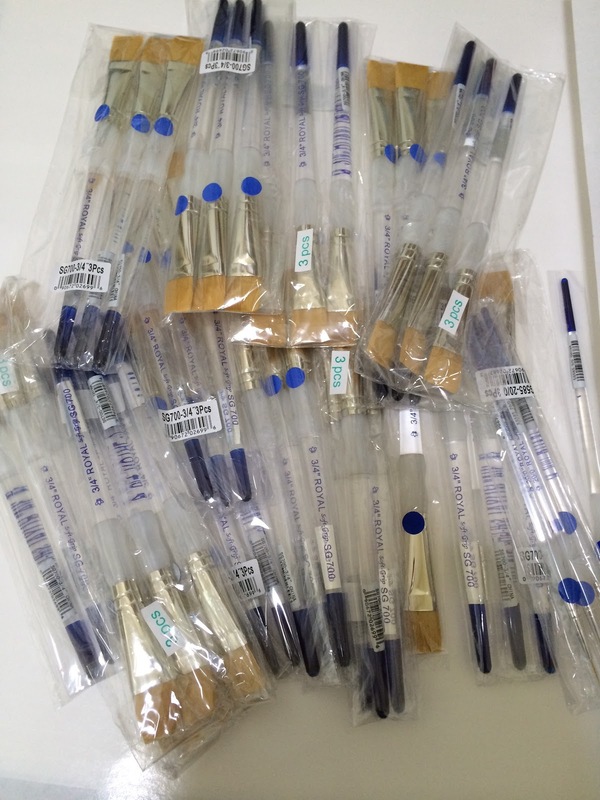 As you can see below, one can never have too many brushes! I love the Royal SG 700 3/4 inch flat. It has a nice chiseled edge for linework, two tiny corners for detail work, and a big broad expanse to cover the real estate quickly. It's important to paint quickly, so one can free up one's schedule to allow for maximum chocolate consumption.